That was the CIMULACT Cluster Workshop! 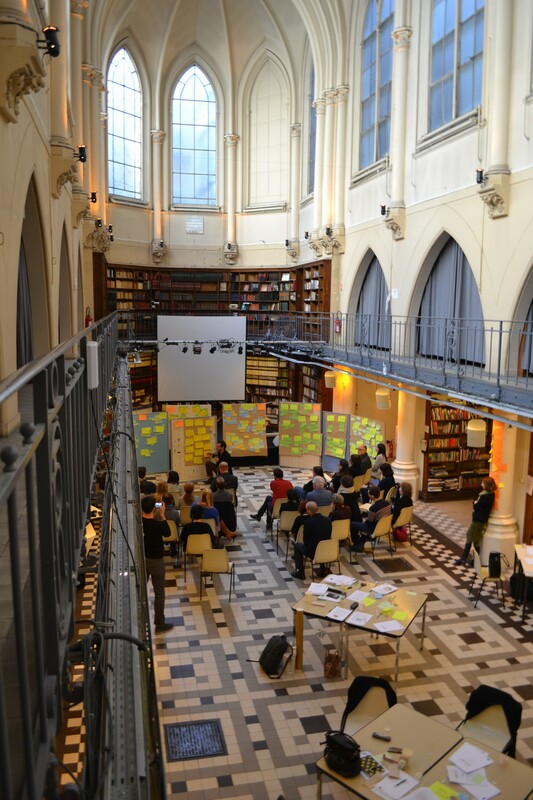 Participants were 26 researchers from the CIMULACT consortium and 11 “Challengers” i.e. journalists, artists, designers, activists, think tank members and social scientists invited to bring an external perspective into the work. Together this diverse group reviewed the 180 CIMULACT citizens’ visions that had been created by more than 1000 European citizens in 30 workshops all-over Europe within the last three months. All 180 visions were published in a series of 30 national vision reports. 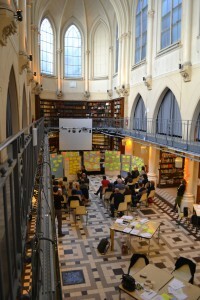 The cluster workshop served to further unlock the full richness of this unique set of European citizen visions by revealing underlying needs across and behind visions in several countries. 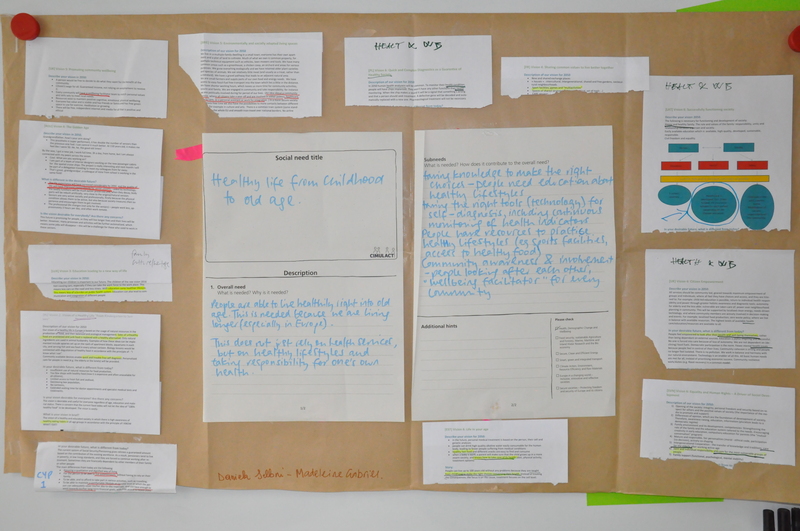 In a complex process crosscutting themes were suggested, developed and revisited again and again until finally participants were satisfied with the final set of 29 underlying needs and attached visions. Each participant was overseeing a pile of 30 visions making sure that they were fed into the process all along. Things that could not immediately be taken up were captured and re-fed into the process later on. 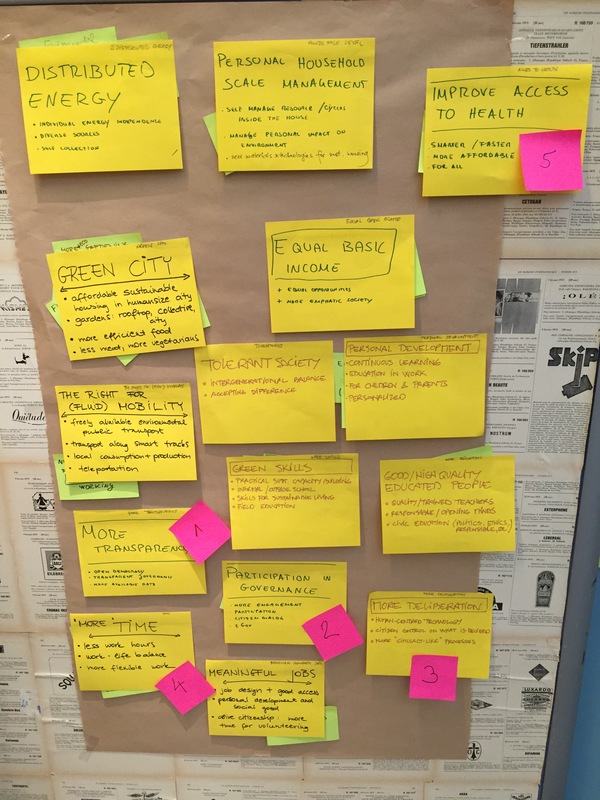 Soon it became very clear that issues related to education, health, sustainability, urban and rural development, community building, transport and intergenerational cohabitation are dominant themes in citizens’ future visions across countries. 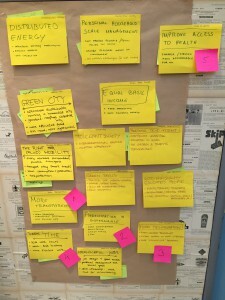 From the 29 needs developed in Paris the CIMULACT team developed an exhibition of European citizens’ needs which afterwards formed the starting point for the CIMULACT co-creation conference in Milano where citizens and researchers jointly developed research agendas answering to these needs.